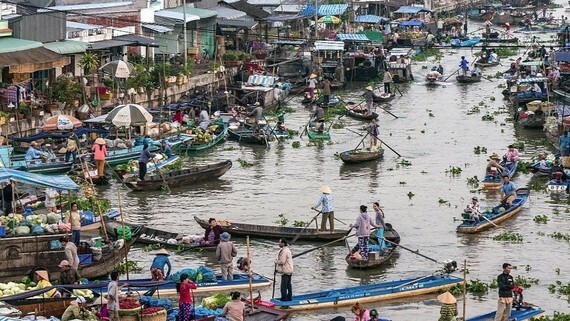 Vietnamese photographer Kieu Anh Dung won the first prize of US$500, for his photo depicting early morning trading in Soc Trang floating market, the Asian Development Bank (ADB) yesterday announced the winners of its Instagram photo contest. Pitchayawat Proongsak from Thailand won the second prize woth US$200, while Saravut Whanset, also from Thailand, won the special prize of $100 for the most likes. The photo contest, which ran from January 8 to February 9, 2018, received more than 1,200 entries from nonprofessional photographers from ADB member countries. Using the hashtag #GMS25, the photos show how daily life in the Mekong subregion have changed in the last 25 years. Countries under the GMS program, which focuses on increased regional cooperation and integration for inclusive and sustainable development, include Cambodia, China, Lao People’s Democratic Republic, Myanmar, Thailand, and Viet Nam. Established in 1992 with support from ADB, the GMS program helps the implementation of priority subregional projects in transport, energy, telecommunications, environment, human resource development, tourism, trade, private sector investment, and agriculture. The Sixth GMS Summit, with the theme, Leveraging on 25 Years of Cooperation, and Building a Sustainable, Integrated, and Prosperous GMS, will be held from 29-31 March 2018. 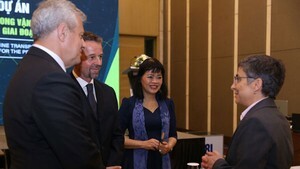 GMS countries’ leaders will attend the event and endorse the Hanoi Action Plan 2018-2022. The contest was held to showcase the development progress in the Greater Mekong Subregion (GMS) in celebration of the 25th anniversary of the GMS program.